My Bleeping Family Mad Libs features 21 original stories celebrating the crazy drama that all families experience, including your own! 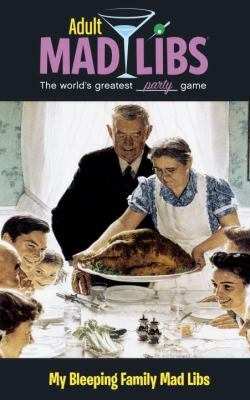 Readers will love to fill in the blanks of stories about Thanksgiving dinner gone wrong, dramatic step-parents, and sibling rivalry! At only $4.99, it makes a funny and affordable gift for all the crazies in your life.